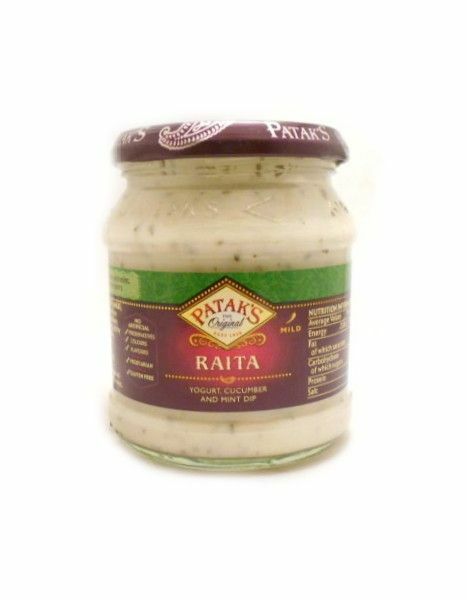 Pataks Raita [Mint Yoghurt] | Buy Online at The Asian Cookshop. Popular mint dressing, dip and side dish accompaniment. 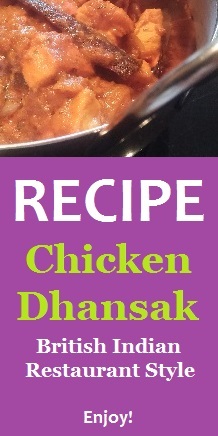 Acts as a good coolant for fiery curries! No Artificial Preservatives, Colours, Flavours. Ingredients: Low-fat Yogurt (60%) (MILK), Water, Cucumber (6%), Modified Maize Starch, Sugar, Mint (1%), Salt, Stabilisers (Pectin, Xanthan Gum, Guar Gum), Acidity Regulators (Lactic Acid, Citric Acid).